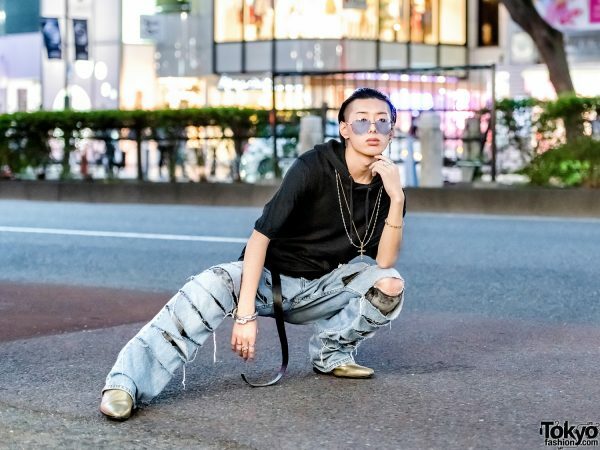 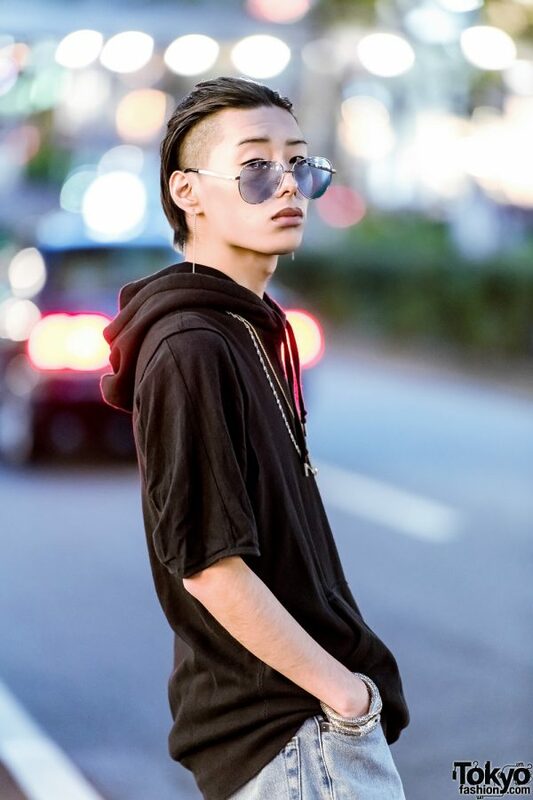 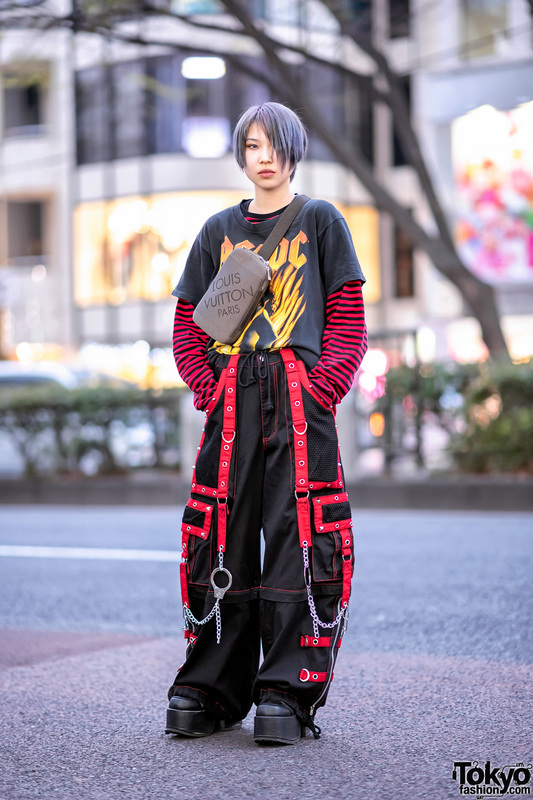 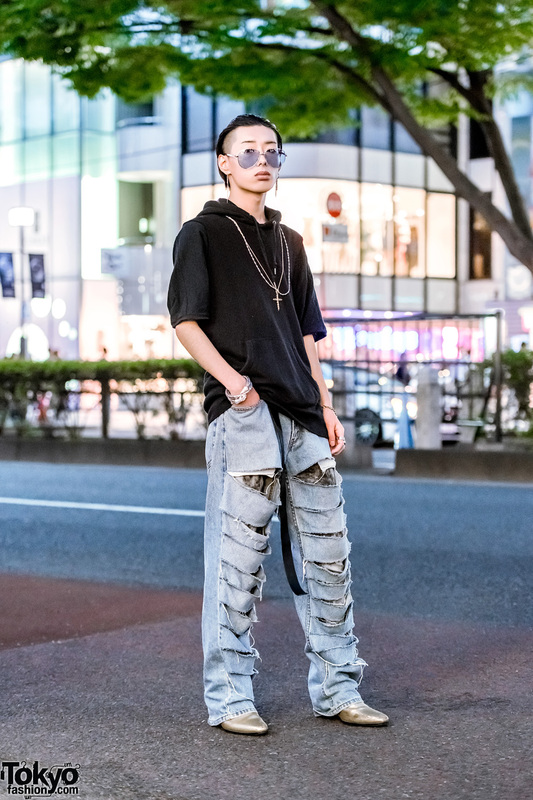 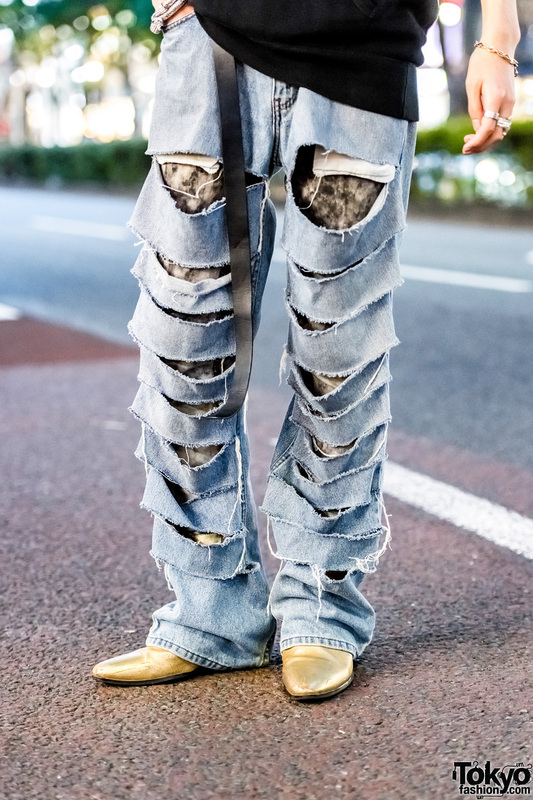 While on the street in Harajuku, 20-year-old Japanese male model Manaya caught our eye. 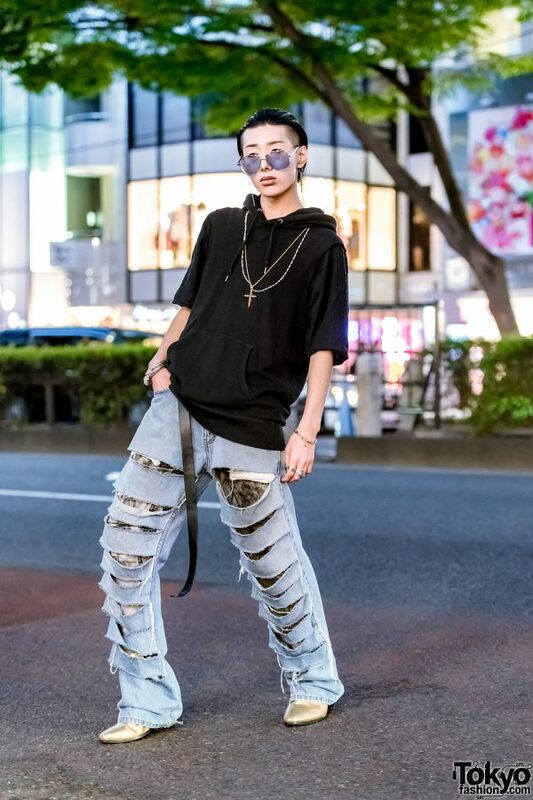 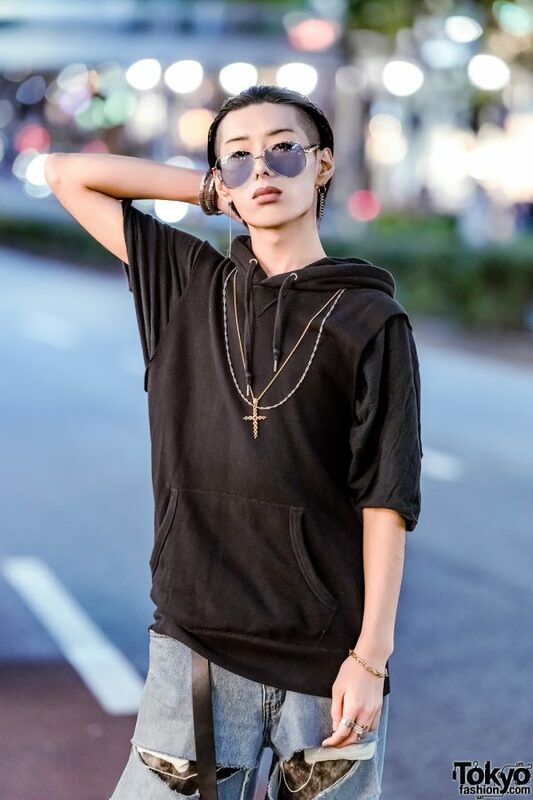 Sporting partially-shaved and slicked-back hair, Manaya is dressed in a black kangaroo pocket hoodie shirt, styled with black acid-wash jeans and layered with another pair of cut shredded jeans. 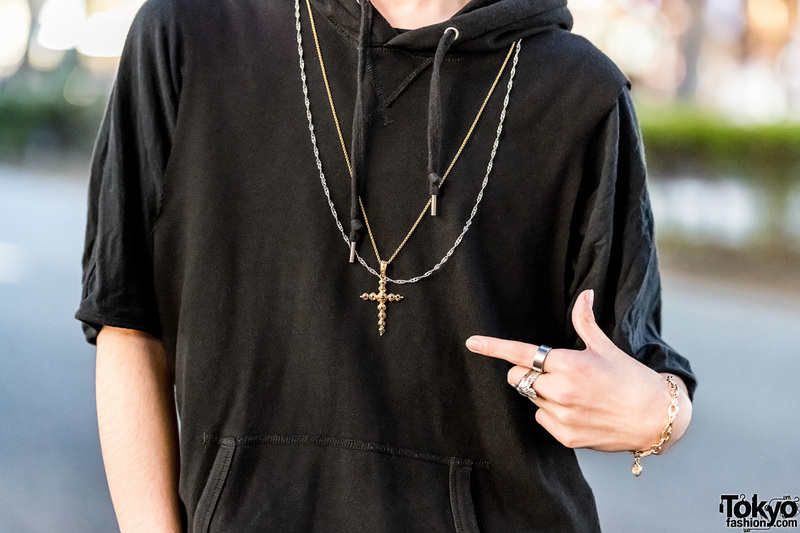 Gold, pointy-toe boots, and accessories such as blue-tinted aviator sunglasses, mismatched silver chain earrings, a silver chain necklace layered with a gold cross necklace, a silver snake cuff, a gold chain bracelet, multiple knuckle rings, and a black leather belt rounded out Manaya’s ensemble. For more of Manaya’s fashion, follow him on Twitter and Instagram.